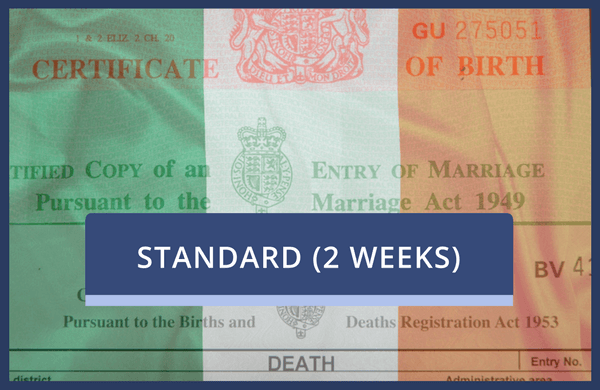 Choose this service to add an Apostille Stamp to personal documents other than Irish documents such as Birth, Marriage & Death Certificates and Educational Certificates. Once the stamp has been applied, the document can be officially used in any of the countries that are part of the Hague Convention. Order the addition of an Irish Apostille Stamp with certification by an Irish Solicitor to your document here. This is the 2-week Standard Service.